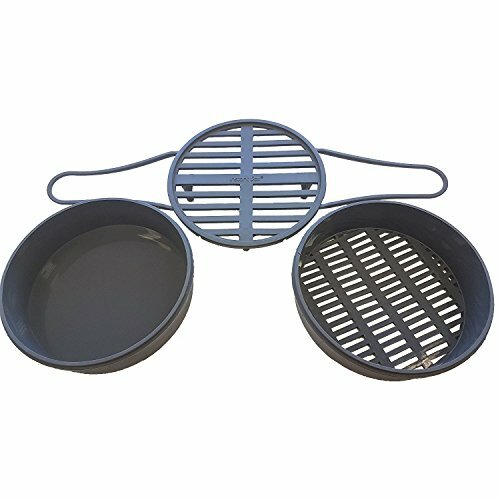 Making mac n cheese all in one pot? No way! I had even tried it a couple of times on the stove top, only to never get very good results. Plus it took me less time to make it with 2 pots! But once I got my instant pot I figured I’d try it again…lo and behold… wowsers! 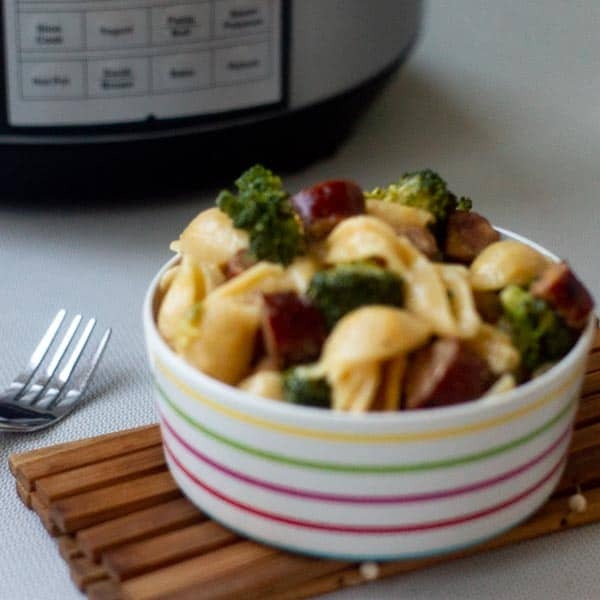 Instant pot mac and cheese really works!! 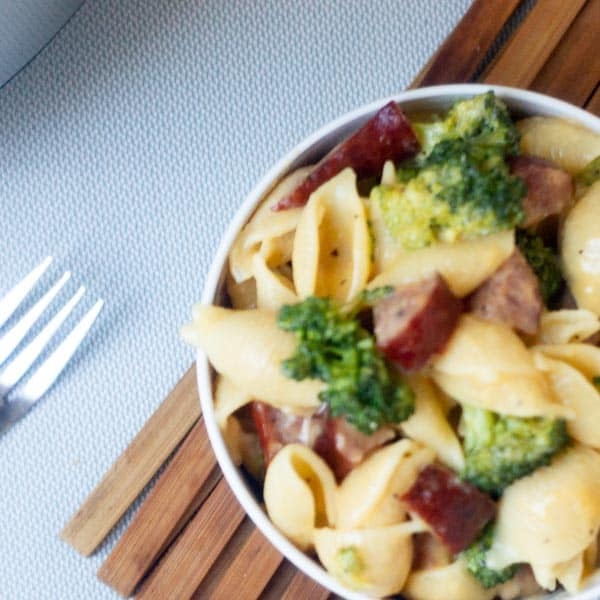 The best part is, I can make it a full-blown comfort meal by adding sausages and broccoli to it, which only adds an extra 5 minutes of work. Because we all feel slightly guilty when we plop plain old mac n cheese in front of them right? Even if it is homemade mac n cheese! But fear no more. 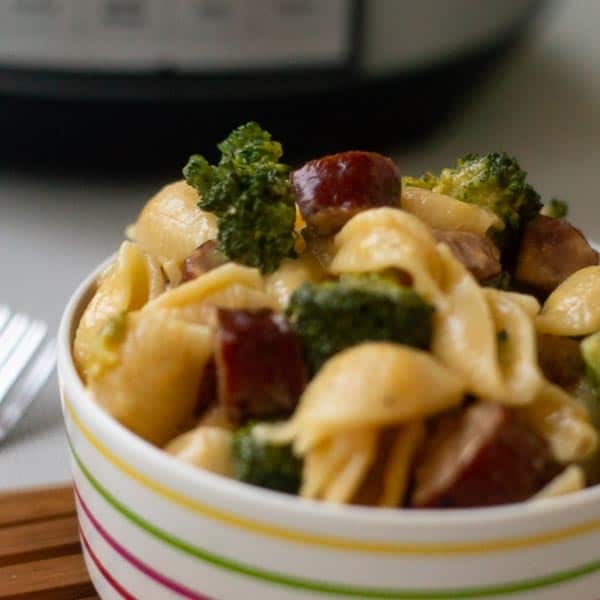 I am going to show you how to make mac n cheese in the instant pot,and how I make it with sausages and broccoli to make it a much more rounded out meal. How often does it not happen that 4PM rolls around and you have no meat defrosted and no meal planned for that night’s dinner? I’ve been there! In fact that’s me more often than not. I know I really got to start working on planning my meals a little ahead of time. That’s a win for you because that means even more recipes on the blog will be super easy ones that you can make for weeknight dinner! So let’s get into the nitty-gritty if the recipe k? How do you make Mac and Cheese in the Instant Pot? I promise.It really is possible. And it’s about 10x better than the boxed crap you can buy. And let’s not mention the fact that it’s just as easy ok?? Even if you’re a beginner instant pot user, this is the perfect easy recipe to start with! While it’s not quite a dump and go recipe,it’s pretty close! For some reason, making it in the instant pot actually makes it taste better than when it’s cooked in a pot. It’s creamier, cheesier and…. Yum it’s just better. There’s only 1 big rule you have to remember when making instant pot mac n cheese. This actually applies to all one pot pastas. Always add just enough water to cover the macaroni. That’s it! As long as the pasta is covered, then you’re fine. Heat your instant pot on sauté, and add your diced sausage and seasonings. Let it cook for 5 minutes, and then add in your broccoli. Dump your pasta in (I like using shells, but almost any pasta will work) add enough water to cover the pasta. Close the lid, make sure the pressure valve is closed. Use the setting manual cook on high pressure, and cook time for 5 minutes. Once your instant pot has come to pressure (it takes my pot about 7 minutes) and the cooking time is over, let it naturally release for a few minutes. Quick release the remaining pressure and open the lid. Stir in butter, milk, mustard and shredded cheese adding the cheese in increments of ½ cup and stirring until the cheese is fully melted before adding the next half a cup. 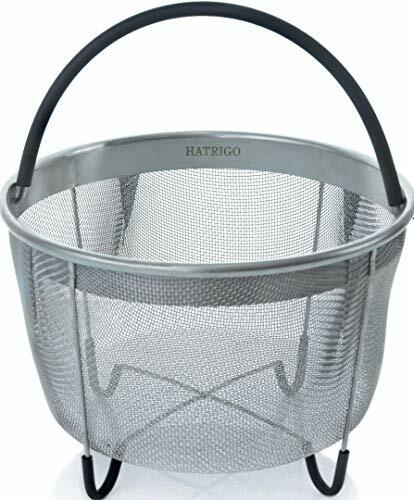 Adjust seasoning to your taste and serve! See how easy that was?? So simple!! You can have this quick dinner on your table in less than 30 minutes! From start to finish it takes me about 25 minutes to get this meal on the table. It’s the perfect meal for those busy nights when you don’t have time to cook, or if you need a meal that doesn’t take any effort to clean up . Even if your kids don’t like broccoli you can swap that veggie out with any vegetable that they like. 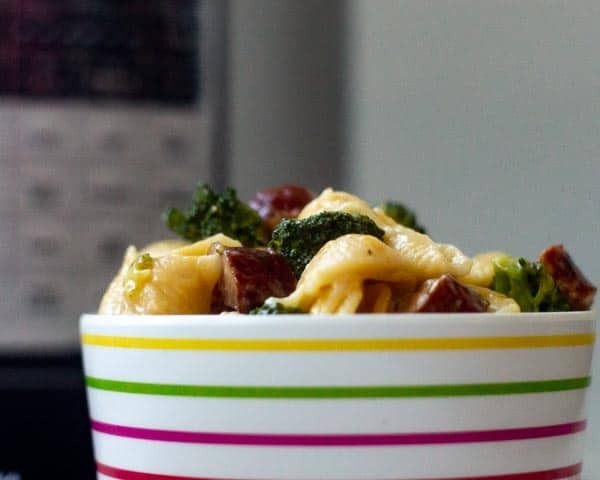 Or you can check out this veggie macaroni recipe! It’s made in the instant pot too. 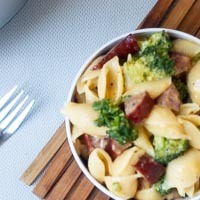 For my kids, even though they aren’t broccoli fans, they love this meal! It’s super easy and it kids friendly so its win- win both ways! Quick and easy for mom, and the kids love it too! Speaking of kids… how do you get your kids to eat their veggies?? Share your tips and tricks in the comments below to help out all the moms out there. 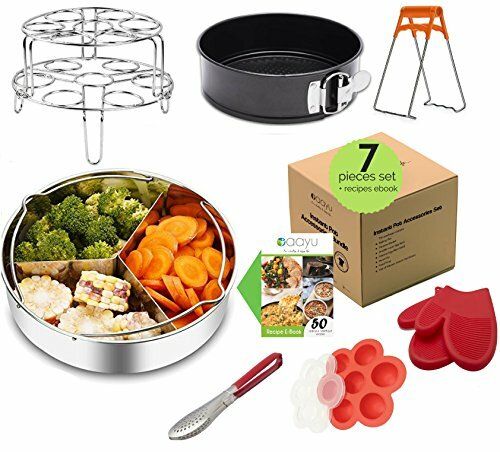 Got an instant pot, but need some accessories so that you can use it to its full potential? These are my favorites! Welcome to my kitchen! 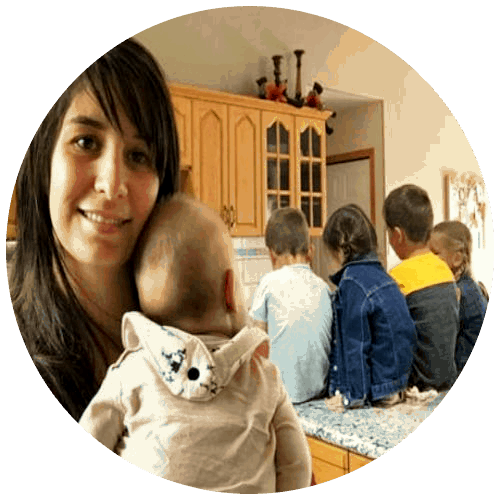 I love to help other moms take the stress out of the kitchen by sharing with you all my tips and tricks for making meal time easy and all my super simple recipes! As a mom of 5, with my oldest 6, I know how hard it can be! 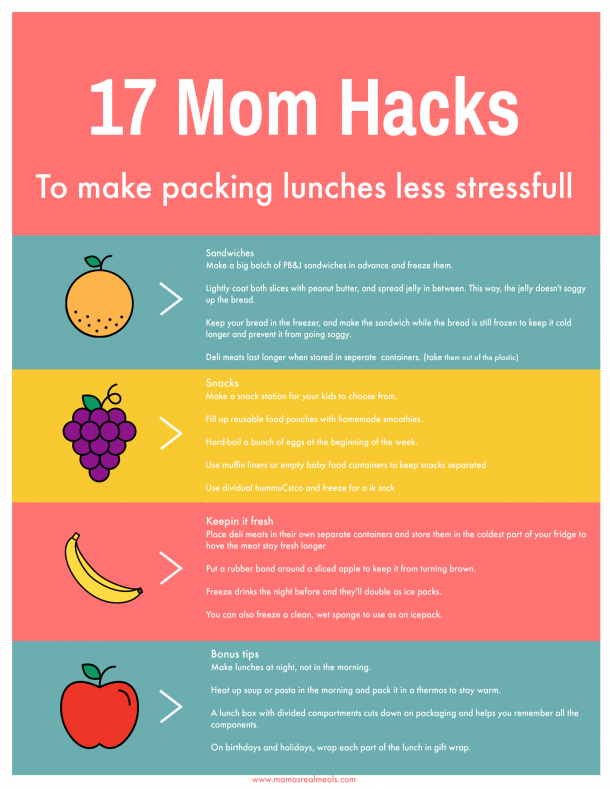 Join our mailing list and get 17 hacks to help you get school lunches packed quicker and easier! Thank you!! Check your inbox and confirm so I can send it to you! Disclosure- This post contains affiliate links, meaning I get a percentage of the payment for promoting the product at no extra cost to you! 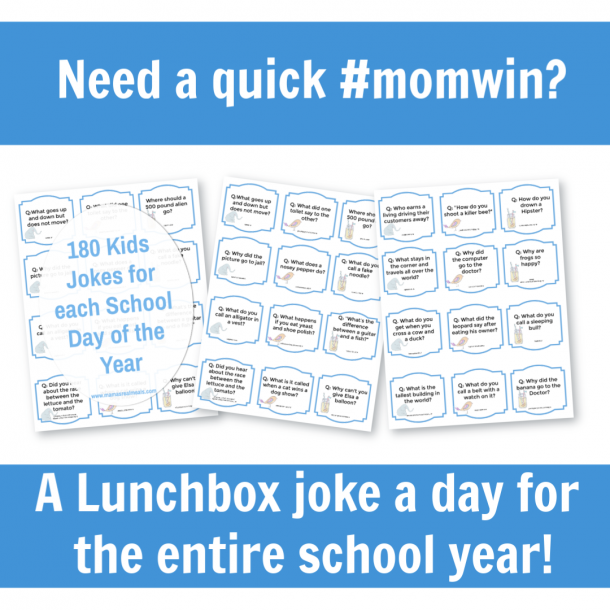 Get 180 Kids Jokes for their Lunchbox! Join our mailing list and get 180 different jokes to put in their lunchboxes to make your kids feel extra special with little effort!